Union Pacific Corp. reported record 2018 fourth-quarter income of $1.55 billion, or $2.13 a share, on Jan. 24. For the same period in 2017, the Omaha, Neb.-based railroad reported significantly higher adjusted numbers of nearly $7.3 billion, or $9.25 share. The company said the substantial difference between the 2017 and 2018 fourth-quarter numbers are because of previously disclosed adjustments reflecting the impact of corporate tax reform. The fourth-quarter numbers show the company beat Wall Street expectations by 6 cents per share according to a survey by Zacks Investment Research. The railroad’s quarterly revenue was $5.76 billion. 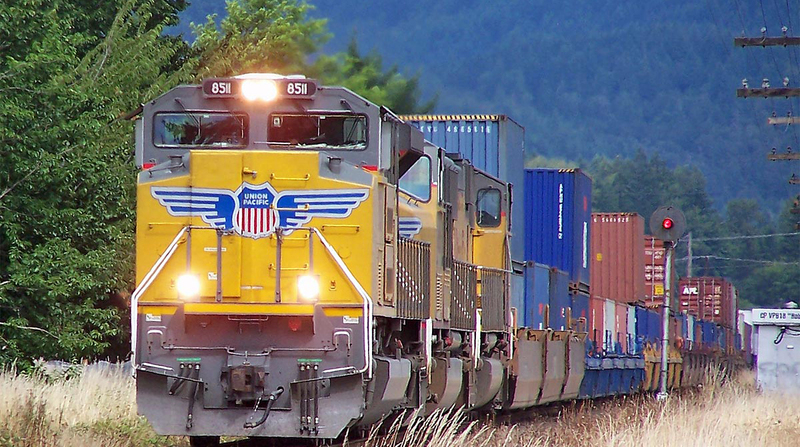 For the entire year, Union Pacific reported net income of nearly $6 billion. During the past year, the railroad has moved to operate more efficiently, storing 1,200 locomotives as it expects to seek $500 million in productivity improvements, which company officials said will include some job cuts. In October, the railroad announced 500 additional jobs would be eliminated after job reductions the past two years. The company’s fourth-quarter operating ratio was 61.6. Operating ratio is a company’s operating expenses as a percentage of its revenue, and it is used to determine efficiency. The lower the ratio, the greater the company’s ability to generate a profit. Company officials said the ratio is too high, and they have set a goal to lower it to below 61 in 2019 and less than 60 by 2020. How does Union Pacific plan to get there? “There is nothing that’s not on the table,” new Chief Operating Officer Jim Vana said on a conference call Jan. 24. Just 10 days ago, Vana came out of retirement to join Union Pacific after 40 years with Canadian National Railway, where he was noted for his pursuit of efficient operations. For the full year 2018, the railroad said it had a net income of nearly $6 billion, or $7.95 per share. Again, the 2018 numbers are less than 2017, and the company pointed out that the final year-end figures include previously disclosed adjustments reflecting the impact of corporate tax reform. Including those items, 2017 reported net income was $10.7 billion, or $13.42 per share.